We all experience times we are overwhelmed by life circumstance when the Spirit hovers over the very chaos of our lives. Steve Wiens, pastor of Genesis Covenant Church in Maple Grove points us to a resource for beginning (and beginning again)–Genesis 1. The seven days of creation tell more than how the world was created; these days are a resource through times of transition and difficult circumstance. In Beginnings, Wiens inhabits the text and offers it up as Midrashim. The creation account re-stories us, plays midwife to us, and invites us into the process of becoming (xxii-xxv). Each of the seven days speak of God’s work in our lives. On Day One, God’s Spirit hovers over the chaos and darkness we experience, bringing light and hope. On Day two, an expanse (space) is created between the waters above and below. This symbolically speaks of how God creates space in our life to grow something new. Day Three we experience the growth of seeds in freshly broken ground. Day Four (the seperation of day and night, Sun, Moon and Stars) we are able to see seasons. On Day Five we confront the monsters in the waters which threaten to strike down our new beginning. Day Six we press into God’s creative work in fashioning us, healing our past and propelling us into the future. Day Seven we learn the power of stopping and nurturing ceasing. This is a unique book in that Wiens doesn’t address any of the creationist/evolutionist debates, and instead focuses on what the seven days of creation tell us about our life. Writers like John Walton (The Lost World of Genesis One, IVP ACademic 2009) tell us that ancient near east cosmologies are more concerned about how the universe is ordered than they are about origins. If this is true (and I believe it is), a book like this which focuses on what Genesis 1 tells us about our life and God’s creative and redemptive work are truer to the message of scripture than many literal readings of the creation account. The focus here is less on what happened, so much of what it means. Wiens also brings the message of Genesis down to a personal level. He share of difficult seasons in his own life (vocational struggles, infertility, problems with physical health, etc) and names the way God was at work in his life. His discussion of the seven days invites us to reflect on God’s work in our own life. I read this book in the midst of my own difficult season of life. Wiens’s words give me hope and a vision of where God may be at work in this stage of my journey. I give this four-and-a-half stars. Note: I received this book from NavPress through the Tyndale Bloggers Network in exchange for my honest review. The daily devotional entires profiles a character from the Bible which explores their experience of God. Each week has a reading on Paul and Jesus, but the rest of the entries take you across the Old and New Testaments. At the end of each section in the book are a daily reading plan (which parallels the daily devotionals, suggestions for prayer, personal reflection questions and action steps. There is a discussion guide at the back of the book, designed to accompany a small-group DVD also available from Baker Books. I really liked this book for a several reasons. 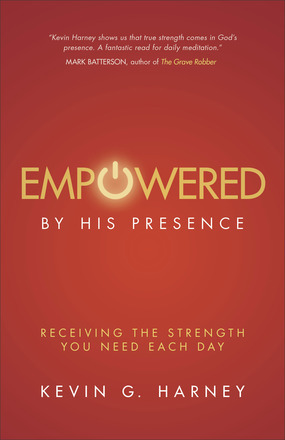 First, this is a book about God’s empowering presence, but it isn’t esoteric or strange. Harney starts with the experience of grief and loss in Job, the persecution of Paul, Hannah’s sorrow, Joseph’s betrayal at the hands of his brothers, Peter leaving his nets and Jesus’ cry of dereliction. Each of these people were met by God, but they came to experience his power through loss, grief and weakness. This isn’t a book about the ‘power of God’ that never enters into human suffering. Rather Harney posits that we meet God there! The other sections are similarly thoughtful. Community is a Christian buzzword, but Harney draws attention to the ways we mediate Christ to one another. The chapter on the four friends and the paralytic is pure gold (chapter seven). He has good stuff to say about Sabbath and Mission as well. Second, I think the format is perfect for a small group. I am suggesting it for a small group study at my church and will likely be ordering the DVD. Third, I appreciate the breadth of Biblical people profiled. Harney isn’t stuck in the New Testament or Old but gives us a nice cross-section of the communion of saints. 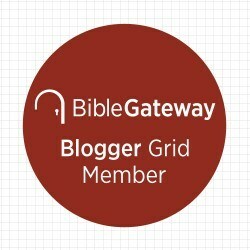 One of the most difficult passages for ordinary readers of the Bible is the last pages of Exodus which focus on the building of the Tabernacle. Up until that point, the Bible has been mostly stories and while some of the laws given seem strange to modern ears, we can readily make adjustments as to how it applies to our lives. But of what import are lists of building materials? Or Priestly vestments? What does the building of the Tabernacle and the mode of worship in the desert have to teach us in our contemporary Western context? The building materials for the Tabernacle (Ex. 25:1-9; 35:4-9) were given by the people as a voluntary offering. Fesko uses this talk both about the quality of our giving and the foundation we use to build our final temple on (cf. 1 Cor 3:10-16). The significance of the Ark of the Covenant (Exodus 25:10-22; 37:1-9) is seen in that it prefigures our final atonement (through Christ’s cross) and represents God’s presence with his people (points forward to the Incarnation). The Table and the show bread (Exodus 25:23-30; 37:10-16) pointed to God’s provision for his people and can be connected with Christ’s miraculous feeding of the five thousand, the Lord’s Prayer (our daily bread) and the Lord’s supper. The Lampstand and Oil (Exodus 25:31-40; 27:20-21; 37:17-14) and the perpetual light it gave, points forward to Jesus the light of the world and the church. The Tabernacle (Exodus 26: 1-37; 36:8-38) was the visble sign of God’s presence with Israel and the New Testament connects God’s indwelling presence with the incarnation, the outpouring of the Holy Spirit at Pentecost and God’s abiding presence with His people. The Altar and the courtyard (Exodus 27:1-9; 38:1-7, 9-20) represents the place where sacrifices were made on behalf of Israel and point forward to Christ’s ultimate sacrifice on our behalf. The Priests garments (Exodus 28:1-43; 39:1-31) were endued with symbolic significance and pointed forward to Christ, our high priest. Likewise the consecration of the priests (Exodus 29:1-46) also would point forward to Christ’s ultimate expiation of our sin. The Census Tax (Exodus 30:11-16) reminded Israel of their redemption from Egypt. Fesko reminds us that when we take ‘a census’ of our own life, we should think of our unworthiness and Christ’s redemption of us. The Bronze Basin (Exodus 30:17-21; 38:8) points forward to baptism and the cleansing work of the Holy Spirit. Oholiab and Bezalel (Exodus 31:1-11) were craftsmen gifted by the Holy Spirit for the building of his tabernacle. Fesko uses their example to speak of the future outpouring of Spiritual gifts to the church for service of the church and world, and God’s continual indwelling presence. Finally, Fesko ends his reflection on the temple with a chapter on Sabbath (Exodus: 31:12018) and he reflects on the way in which trusting in Jesus is our entry into the Sabbath rest of God. Fesko uses the New Testament to shed light on the Old. 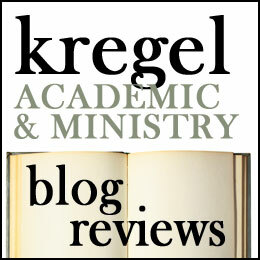 He takes his cue from Augustine who once wrote, ‘what is hidden in the Old is revealed in the New, and what is revealed in the New is hidden in the Old (133).’ Fesko reads the section on the Tabernacle through a Christocentric theological grid. I appreciate this perspective and it made me think of the first time I read Hebrews after a fresh reading of the Pentateuch. All scripture is God breathed and useful for teaching, rebuking, correcting and training in righteousness so that the servant of God may be thoroughly equipped for every good work (2 Tim. 3:16-17). When Paul wrote those words, the New Testament was not canonized yet and the Bible of the early church was the Old Testament. Thus we need to learn to wrestle with passages like the building of the tabernacle (or genealogies) when we encounter them in our Bibles. Unfortunately there are no footnotes and there is no bibliography in the book. Many readers will not miss them, but I like to know where an author has gleaned some of their ideas and who they are conversant with it. Fesko is not the first (or the last) to traverse this ground, and I want to know who he’s read. But these chapters first had life as sermons which Fesko preached at Geneva Orthodox Presbyterian Church (Woodstock, Georgia) when Fesko was pastor there. So I am left guessing which commentators and scholars Fesko consulted in his pastor’s study. I think Fesko has a lot of valuable things to say and makes sound theological judgments; however he offers few clues for those who would desire to dig deeper into the topic. But Fesko wrote this book for those who find the treatment of the Tabernacle in Exodus boring and inaccessible. I think he does a great job and makes some good suggestions for how lay Christians can use this portion of scripture to deepen their appreciation for all that God in Christ has done on our behalf. If the tabernacle has always mystified you, Fesko will show you how to appropriate these texts in ways that are worshipful and worthy of deeper reflection. Thank you to Cross Focused Reviews and EP Books for providing me with a copy of this book in exchange for this review.